I’ll be honest, I didn’t like the burger I had in Dubai, and that was the beef one, though, I did eat around 18 different burgers in 5 days. You can read about that here. But when word went out that there is a halal chicken burger on the scene I thought I’d check what the hype’s about. So, first things first, I first tried the chicken burger at the Stratford branch, on inserts date here. And let me tell you – it was bad. Like really bad. Here’s the post.. 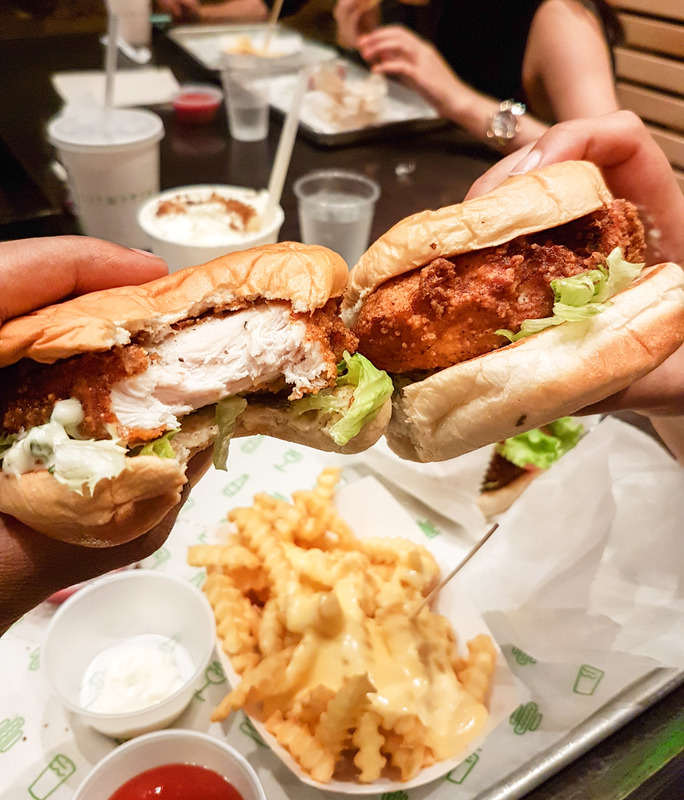 The chicken burger from @shakeshackuk As many of you may or may not know, shake shack UK have now started serving up halal chicken burgers. What you may not know is that’s it’s an absolutely rubbish burger and total waste of money! If you have have been following my foodie journey you know I’m straight to the point and no nonsense. I feel it’s my duty to tell you do not waste your time with this. Honestly, it was crap. The chicken had minimal usage of herb and spices. The breading was a single layer of hard glass like texture, it felt like eating chicken wrapped in glass. At £6.25, I feel like I was robbed. I’ve had better chicken burgers for £1. Honestly, the underated zinger burger (with chips and drink for under £5) from KFC is 10 times better. Bad food makes me angry. Have you had this burger? Do u agree with me? Comment below. 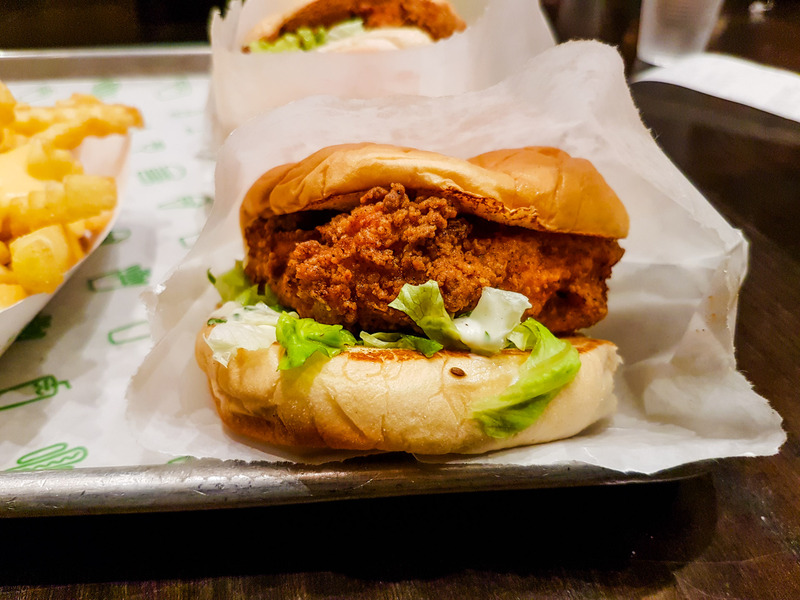 Oh, if you want a good chicken burger. Then the tower burger from @meatgram. Chicken is halal. All for pretty much a quid after the discount and voucher. Result. First of all the chicken burger, definitely an improvement to what I had the first time. 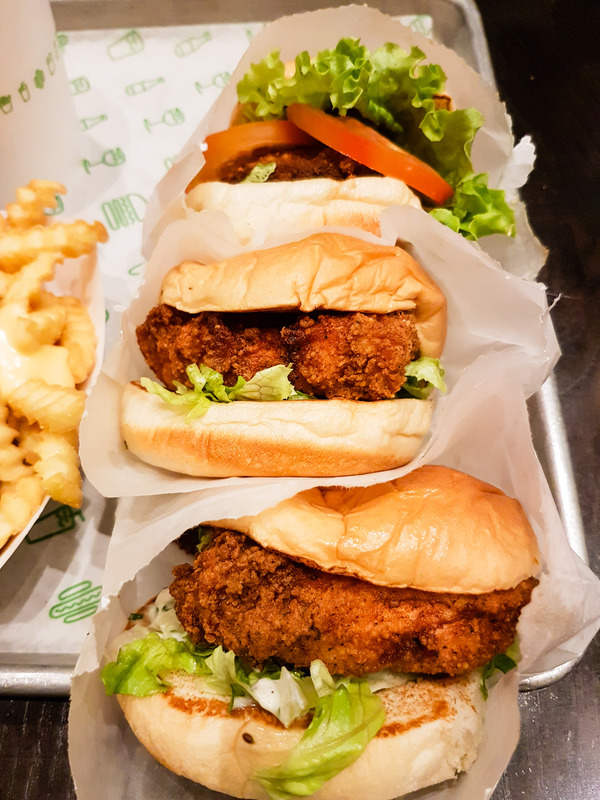 The bun is nice and fluffy, the chicken was actually decent and there was a better texture and taste to the breading and the chicken. My gripe is the burger or fried chicken sandwich costs over £6. Apart from the nicer bun, I don’t see why you would choose this over a Chicken Cottage burger or the Zinger burger from KFC. So despite this being an improvement on the first time I had this, it’s still for me a burger that’s just about average, especially at the price. I heard a lot of good things about the ‘Shroom burger so I gave that a go and I was truly impressed. I never thought a mushroom based burger would crush the taste of a chicken burger. It must have been that yummy thick melted cheese and the flavours of the mushroom patty. I highly recommend this over the chicken burger. 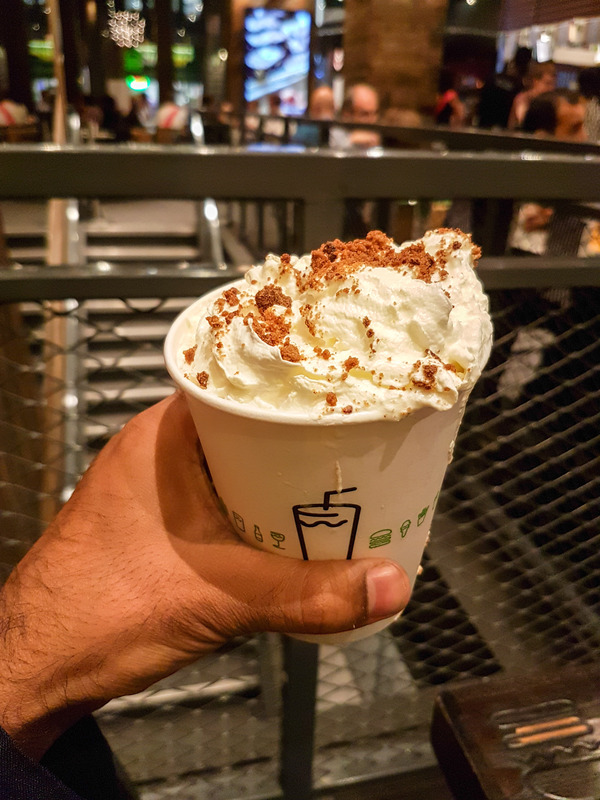 I also got a special menu item made by renowned pastry chef Dominique Ansel, ‘The Banoffee’ which featured fresh, hand-spun vanilla custard blended with caramelised bananas, Dulce de Leche, Speculoos biscuits and a hint of sea salt, topped with Chantilly cream and Speculoos crumbles. This was brilliant, a very rich in taste and texture milkshake. I think it was limited for August, however. Sorry. If you are looking to recreate your foodie memories of Dubai then you will be disappointed. The chicken burger is mediocre in my opinion. If you are in Tottenham Court Road, then just walk 5 minutes up the road to KFC and get a Zinger Burger. I think the ‘Shroom burger is a winner! – get that instead. The Halal certificate is displayed on the wall, left of the tills. 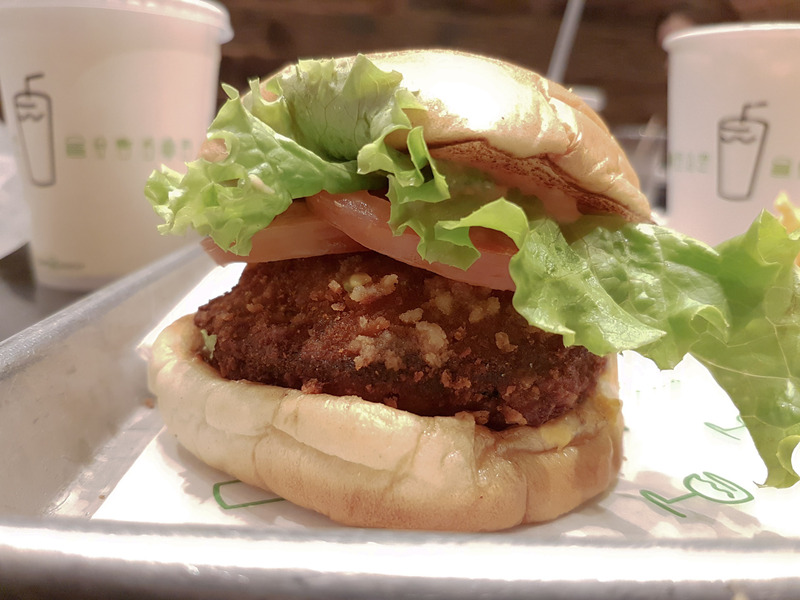 Hey Buddy!, I found this information for you: "Shake Shack". 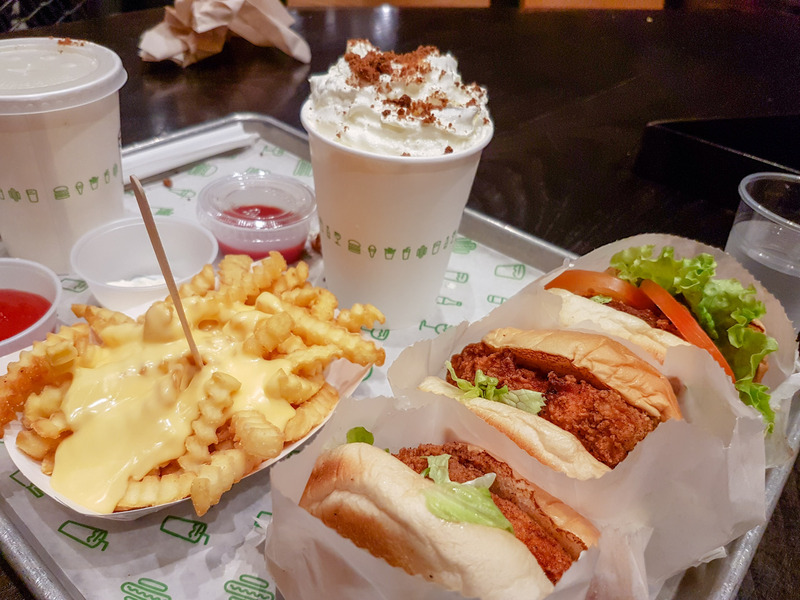 Here is the website link: http://halalfoodguy.co.uk/shake-shack/. Thank you.